It's circled on your calendar. Now learn why The 2012 Independent Garden Center Show is a must-attend. 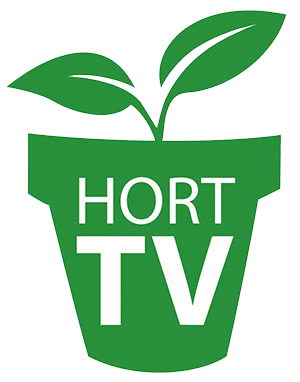 Editor’s note: The IGC Show is produced by IGC Retailer and Garden Chic. Lawn & Garden Retailer is not affiliated with the IGC Show. After a busy spring season, your team needs a good recharge. Luckily, the 2012 Independent Garden Center (IGC) Show  which returns to Chicago’s Navy Pier from August 21 to 23  is quickly approaching. With new products, countless educational opportunities, innovative on site buying and brand-expanding keynote speakers, this year’s show promises to get you primed for 2013. As homegrown vegetables and herbs remain popular with today’s consumers, the IGC Show’s Spotlight Keynote couldn’t be more relevant. Celebrity Chef Rick Bayless will celebrate consumer demand for edible gardening during his keynote. Bayless is the chef and restaurateur of award-winning Chicago restaurants, host of his own PBS television series and the author of a number of best-selling cookbooks. Featuring 100-plus exhibitors with creative and innovative offerings, the New Vendor Zone is located in the peak-visibility area connecting navy Pier’s main trade show floor to the Grand Ballroom. “These are the ground-breaking offerings that will distinguish independent garden centers from the boxes down the street,” says Jeff Morey, IGC Show co-founder. Who said you can’t mix business with fun? The IGC Show Classic Rock Concert Series welcomes Dennis DeYoung, a founder of the legendary rock band Styx, to the Grand Ballroom Stage. “Dennis DeYoung: The Music of Styx” will showcase the band’s greatest hits spanning the ’70s, ’80s and ’90s, performed live by DeYoung and his six-piece rock band.